Sennheiser's Ambeo Smart is a compact binaural recording headset for mobile use that scores not only with its intuitive operation, but also with its special design for impressive 3D recordings. The compact tool enables immersive, detailed and realistic 3D shots that bring memories to life or share them with friends thanks to the integrated omnidirectional microphones in the earpieces. The realistic effect results from fine differences in time, volume and timbre, which occur when sounds reach the ears from different directions. The three-dimensionality thus seems even more authentic and you immediately get the feeling as if you were in the middle of the action. 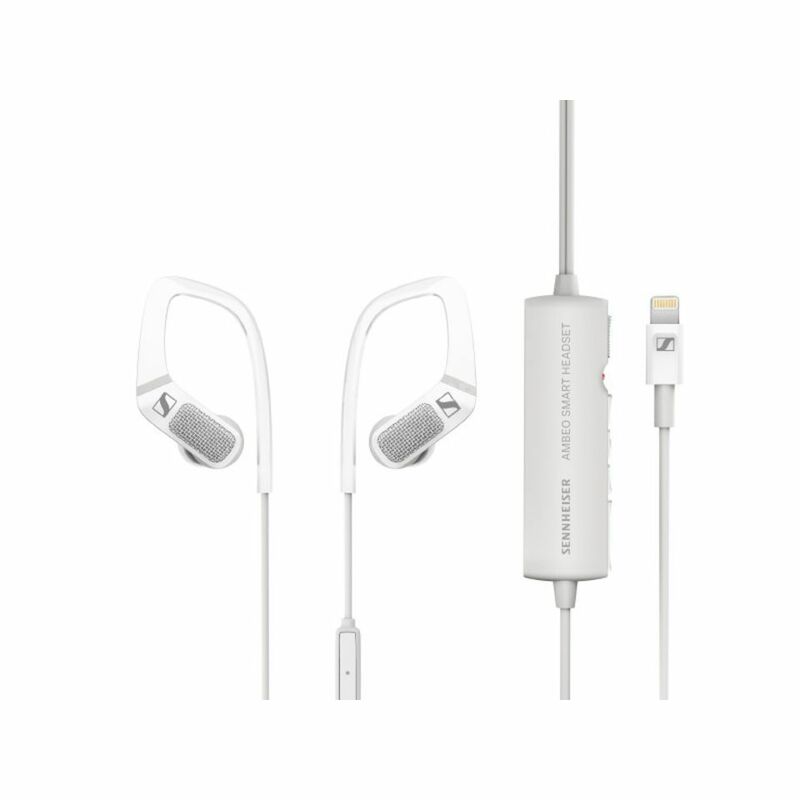 Designed for use with iOS devices, the Ambeo Smart features an Apple MFi-certified Lightning connector and an additional microphone with optimized speech intelligibility for telephone calls. Apogee's advanced technology - soft limit, microphone preamplifier and precisely tuned A/D & D/A conversion - further enhances the headphones, allowing the recorded 3D sound to be played back over any headphones connected to a stereo audio source. Also on board the Ambeo Smart is the unique Situational Awareness function: With the rocker switch of the remote control, sounds from the surroundings can be gradually faded into the hearing program thanks to Transparent Hearing (TH) - a real safety factor when you are on the road. Conversely, active noise reduction (ANC) can also be switched on to practically silence the environment - ideal for relaxing while enjoying music undisturbed, e.g. on the train or in waiting rooms. And the low structure-borne noise earhook guarantees a safe and comfortable fit, even when you are in motion.